On this day 225 years ago, President George Washington signed into law the Judiciary Act of 1789. As outlined in the Constitution, the First Congress was tasked with establishing the federal court system under one Supreme Court. The new court would have a Chief Justice and five Associate Justices. President Washington began appointing these positions immediately. Many Anti-Federalist Founding Fathers wanted to stop here. They feared a large, strong judiciary would allow the federal government to use the courts to become tyrannical, eradicating state and individual rights. To relieve the critic’s concerns, the Bill of Rights was written to establish certain rights that the courts could not take away. 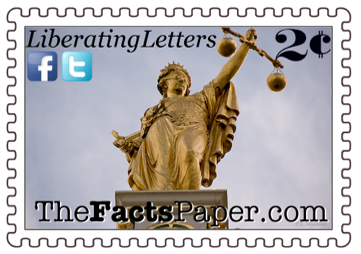 Creating a balance between state and central government powers, the Judiciary Act designed our current federal system to include the Supreme Court at the top, followed by circuit courts and district courts throughout the states. This structure meant a case would have been heard and ruled on several times before it could be heard by the Supreme Court. Interestingly, this is very much the system used by Moses and the Israelites while they were in the desert during the exodus. After Moses realized he could not hear all the cases that needed to come before him, his father-in-law advised him to find honest, trustworthy, men of truth that he would place as rulers over thousands, hundreds, fifties and tens. Only the cases too difficult to be handled at a lower level were brought before Moses himself. To protect the people from an overreaching court system, the Bills Of Rights was written specifically to give the states authority over issues not assigned to one of the three federal branches. As you might imagine, this Bill of Rights is viewed by some in the federal government as an obstacle. President Obama described the Constitution as a “charter of negative liberties”, lamenting that it puts limits on the federal government’s ability to control people’s lives. The Bill of Rights was all about what the government can’t do to you, not what they can do to you or for you. It limited the government’s ability to redistribute your wealth to others, to take away your choice of food, limit and even abolish your gun ownership, and remove your freedom of speech and religion. As the Anti-Federalist feared, Obama’s administration is doing everything it can to use the courts to eradicate our personal freedoms and rights. At this same time it is suing states that are enforcing laws that the federal government is mandated to enforce, such as immigration. This isn’t the first time that the Executive Branch has used the courts for its own interests. The Judiciary Act of 1869 increased the number of justices from 6 to 9, thus allowing President Ulysses S. Grant to appoint one justice immediately. This loading of the bench helped him achieve court rulings in his favor for Reconstruction initiatives. In similar fashion, President Franklin D. Roosevelt found his New Deal policy hamstrung by the Supreme Court as it ruled it unconstitutional. He tried desperately to “stack the court” by introducing a bill that would allow him to appoint up to 6 more judges. While trying to pass his judicial bill in 1937, which stalled in Congress and eventually died, he continued to apply heavy pressure on the court to reverse their decision on the New Deal. His efforts eventually worked, allowing one of the worst pieces of progressive legislation to date to be ruled Constitutional. His efforts, meant to benefit the common man, instead resulted in a tremendous burden being forced on already struggling citizens, hampering the poor’s ability to rise out of poverty. The sales pitch and ultimate result of the New Deal were polar opposites. In that way, it is eerily similar to Obamacare. Obamacare, or the Affordable Care Act (ACA), was forced on the American people and pushed through the Supreme Court by Chief Justice Roberts. The ACA required everyone purchase insurance or pay a mandated fine. Several lawsuits were quickly filed with lower courts once Obama signed it into law. The findings in the lower courts were split on the constitutionality of the mandate. As expected, a lawsuit made its way to the Supreme Court. While arguing their case, the Justice Department first maintained the mandate was only a fine as was written in the law. The very next day they insisted the mandate was in fact a tax. This enabled them to get around the Commerce Clause which allows for a mandated tax but not a fine. Between Justice Roberts’ initial vote and the final procedural vote, he mysteriously changed his mind, much to the dismay of fellow conservative justices arguing constitutionality. To the confusion of many, in his majority opinion he maintained the mandate was unconstitutional as a fine, but constitutional as a tax. By this action he deserted his duty to judge legality and rewrote the law to make it legal. Many believe, as with FDR, the Obama Administration put overwhelming pressure on a Supreme Court Justice to vote not for the Constitution or the people, but for the Administration. Some judicial appointments are more about favors or rewards than politics. Republican President Bush nominated close friend and advisor Harriet Miers in 2005, who many deemed unqualified for the appointment and saw it as a “thank you for your support” gesture. She was even recommended by Democrat Senator Harry Reid, one of the most liberal Senators in Congress. It was a complete slap in the face to conservative (brewing Tea Party) Republicans who let him know immediately. Ms. Miers withdrew her nomination about three weeks later, not due to Democrats who opposed her, but her own party. Other appointments are purely political. Justice Elena Kagan was part of the Obama Justice Department serving as Solicitor General. She spearheaded the enactment of Obamacare and even defended the act in federal court. For her efforts, she was awarded a seat as a Supreme Court Justice in 2010. Not only was this a payoff for her work, but it allowed the administration to put the very person that argued the case in lower court to hear it at the Supreme Court. Having argued the case, Justice Kagan should have recused herself from the Supreme Court proceedings. After all, she had a vested interest in the outcome. Unfortunately, she proved to have no integrity and remained on the case. Clearly justice would not be blind. This type of legislation from the bench has become the norm rather than the exception. More and more judges are deciding to rule not on what the Constitution and law says, but on the color of one’s skin, gender, economic status, sexuality, or religion. This is known as social justice, using the courts to favor a chosen minority over someone else demeaned to have more. Social justice seeks to benefit a select group over another. Rather than treat people equally, it’s about equality. It’s not about being fair, but fairness. Where justice is blind, social justice is clearly not color blind. It seeks to tear down some, while bringing others up. In essence, it’s as God revealed in 2 Timothy 3:4,5 “treacherous, reckless, conceited, lovers of pleasure rather than lovers of God, holding to a form of godliness, although they have denied its power; Avoid such men as these.” These judges are seeking to do what they deem to be good, when in essence its roots are in evil. They have put themselves in the place of God and are determined to make things right as they see fit. This is due in part to the eradication of God and the 10 Commandments in our schools, our colleges, businesses and our courthouses. Without God and his guidelines, sin easily takes over. We see no wrong in stealing, murdering, adultery, or abuse. We are numb to the prospect of taking from one person just to give to another. By removing God from our lives, the American people begin to see no issues with politicians that are sexually immoral, or lie, cheat, and steal. Is it any wonder that we begin to elect to office and appoint as judges people with these traits? We have come to a point where many judges are appointed because they DON’T follow the Constitution or the law. In fact, they write law from their bench. Lawyers are even deciding where to file their lawsuits based on the political leanings of the judges. No, Liberty, justice is not blind. Justice has become racist, bigoted, prejudice, heterophobic, anti-Christian, anti-Jewish, ultra-liberal, and overwhelmingly politically correct. If America wants to restore the liberties and rights the Founding Fathers gave us and millions of Americans have fought and died to preserve, then she must turn back to God. We must start restoring His commands in our own lives and then electing those to serve who have that same commitment to the Lord. We can change Washington only by changing who we send there. As I stated before, Moses found honest, trustworthy, men of truth to serve the people. We have the answer. The question is, will America hear it?